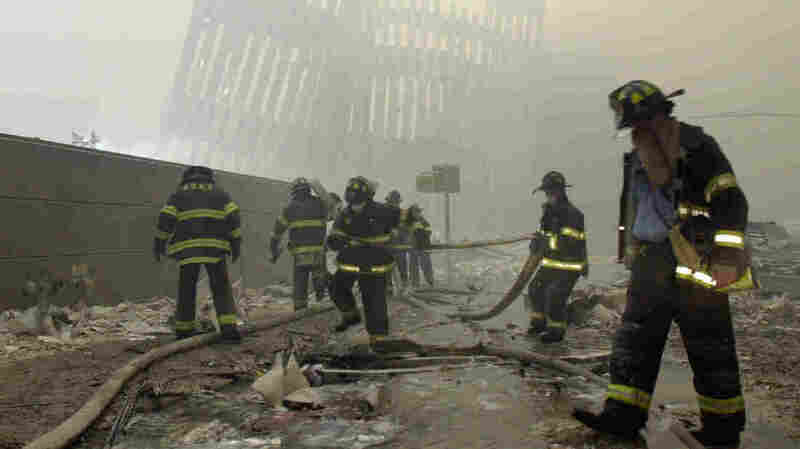 Sept. 11 Victim Compensation Fund Cuts Payouts By As Much As 70 Percent The fund is reducing awards as it faces a surge in claims before the fund's 2020 expiration date. "I am painfully aware of the inequity of the situation," the fund's administrator, Rupa Bhattacharyya, wrote in an announcement on Friday. "... But the stark reality of the data leaves me no choice. If there had been a different option available to me, I assure you I would have taken it." In October, Bhattacharyya issued notice that the fund's balance was falling. Since then, she said, about 8,000 new claims were made, equal to the number of claims the fund usually receives in a single year. That's not the only factor driving claims, according to Bhattacharyya. "From the very beginning, there has never been a good estimate of how many potential claimants there are, partly because there's never been a good estimate of how many people were exposed, particularly in the New York City area," Bhattacharyya said. She also attributed the surge in claims to cancer latency periods. "Some of the diseases that could arise from exposure to the toxins in the air in the New York City area, we may not see for several years," Bhattacharyya told NPR. "I cried. It was devastating," he said. "Thousands of people are going to suffer, that are already suffering ... Congress continues to put deadlines in, arbitrary dates on our legislation that we now passed a couple times, but these illnesses — cancer and respiratory illnesses — they have no deadlines." "Cancer rates in the 9/11 first responder community are rising higher than ever, which means the VCF is more important than ever. We cannot tell them, 'Sorry, we don't have the funds for you.' We cannot turn our backs on these heroes – not now, not ever. Remembering 9/11 should be more than a bumper sticker, and that's why I will be reintroducing bipartisan legislation soon with Senator Cory Gardner and others that will ensure that the men and women injured by the toxins at Ground Zero are never forgotten." Thomas O'Connor, president of the FBI Agents Association, told NPR such legislation would be "doing the right thing for people who gave of themselves on 9-11, our worst terrorist attack." "They didn't think twice about going and working these sites, and we shouldn't think twice about supporting them and their families in their times of need," O'Connor said. "Most Americans have moved on over the last 18 years, and rightfully so," Feal told NPR. "But for those who are deeply effected by 9/11, and are waiting for claims, this day hasn't ended for them. 9/11 continues."